Michigan Department of Natural Resources officials say the upcoming firearm deer season will require more planning and scouting by hunters if they plan to bag a big one. Photo courtesy of the Michigan Department of Natural Resources. Grand Rapids, Mich – Hunters who plan to go out for the two‑week firearm deer season starting Nov. 15 need to get out and scout if they plan to hunt the woods. This year’s acorn crop is spotty, according to state wildlife officials. Deer will be moving and hunters will have to find them rather than assume their favorite oak stand will be productive. Michigan’s deer herd, overall, is smaller than a few years ago. Three consecutive hard winters took a serious toll, particularly in the Upper Peninsula where most of the fawns died two of those winters. Epizootic hemorrhagic disease, or EHD, also hit the southern Michigan deer hard in 2012, killing many in various areas. DNR surveys of hunter success showed it declined in 2014. Just more than five out of 10 hunters took home a deer. That decline was seen all around the state, but mostly in the Upper Peninsula, according to Stewart. Despite the bad news, there is good news, too. A big 10 point “swamp” Buck, Luce Co. Photo courtesy of Michigan Department of Natural Resources. Field reports from around the state show many areas in the northern Lower Peninsula have older, 2 1/2‑year‑old bucks this year. The NLP deer harvest is expected to be higher than last year. Antler restrictions, limiting hunters to bucks with three antler points or more, were put in place 2013 for many NLP counties. 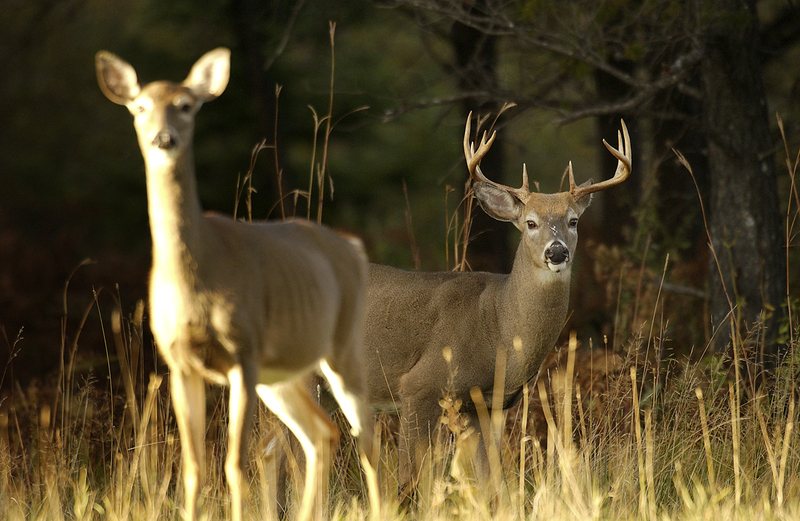 As a result, fewer 1 1/2‑year‑old deer were shot in 2014. They have since matured. Southern Michigan hunters, many who hunt private lands, are going to benefit this year from the advanced corn harvest. It is ahead of last year, and more fields will be cleared come opening day. That means better and more deer sightings. Chronic wasting disease, which was discovered in Meridian Township in Ingham County this year, seems contained. Only three deer were found infected, and all appear to be from the same family group. More than 1,100 deer have been tested so far. The big question hanging over its occurrence is how the disease got there in the first place. Stewart said hunters can help with the CWD surveillance work in that region by reporting any deer they find that is acting strange. Ample information about CWD and what’s being done about it can be found online at bit.ly/CWDinfo . Hunters who are fortunate enough to bag a trophy deer this year might want to consider entering it in the Commemorative Bucks of Michigan record book. The 34‑year‑old nonprofit maintains Michigan’s official records. The organization has 2,000 members, and more information can be found at buckfax.com http://buckfax.com. 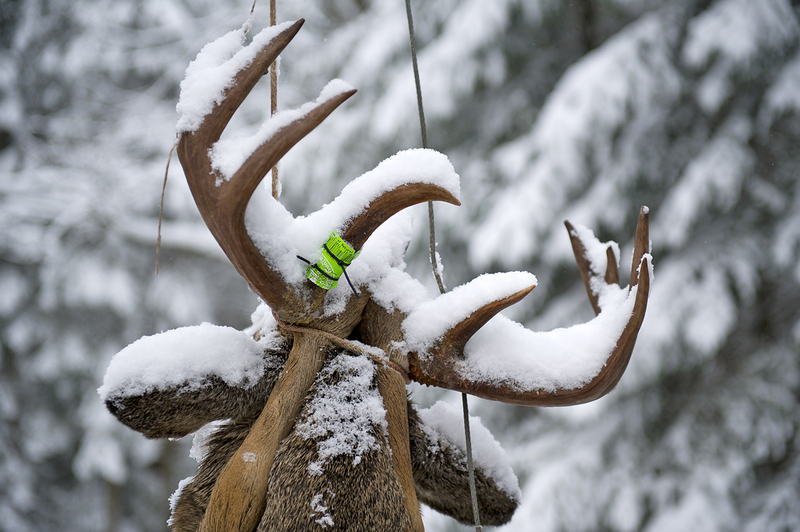 The process of entering requires having the antlers measured and scored. Bob Novosad, a CBM scorer in Grand Rapids, said hunters need to let the antlers dry at room temperature for 60 days before they are measured. The cost is $30, and that includes membership. “People with a nice buck always want to know their score right away, but we don’t do green scores, and they are not recognized,” Novosad said, explaining that this one‑time approach saves everyone time. Scorers need only to measure the antlers once. So, if you happen to shoot a nice buck this season, check out CBM and see if it makes the record book. Be safe out there and happy hunting. This entry was posted in Uncategorized and tagged Deer, Deer Hunting, DNR, Hunting, Michigan Department of Natural Resources, Wildlife. Bookmark the permalink.